You want to get bigger and you want to do it quick. You may have plateaued in your training or are looking for ways to take your results to the next level. Here you’ll find our top 20 tips to boost your growth in the gym. Making sure your training is optimal is essential for achieving the dramatic results we pride ourselves on. This can lead to greater gains in size and strength. It works well on both a strength (intensification) phase and a volume (accumulation) phase. Adding extra sets to a strength workout – for example, doing seven sets of five instead of five sets of five – is a great stimulus for your body to grow, as well as get stronger. Remember, you can’t keep increasing volume indefinitely. The more volume you do, the more recovery you’ll need. Every sixth workout works well for most, though some people thrive on more change, and some on less. This means changing routine every two to six weeks depending on training frequency and speed of results. For example, if you had an upper body workout and a lower body workout, you’d perform upper body six times, and lower body six times. If you do each session twice per week then your phase would last three weeks. 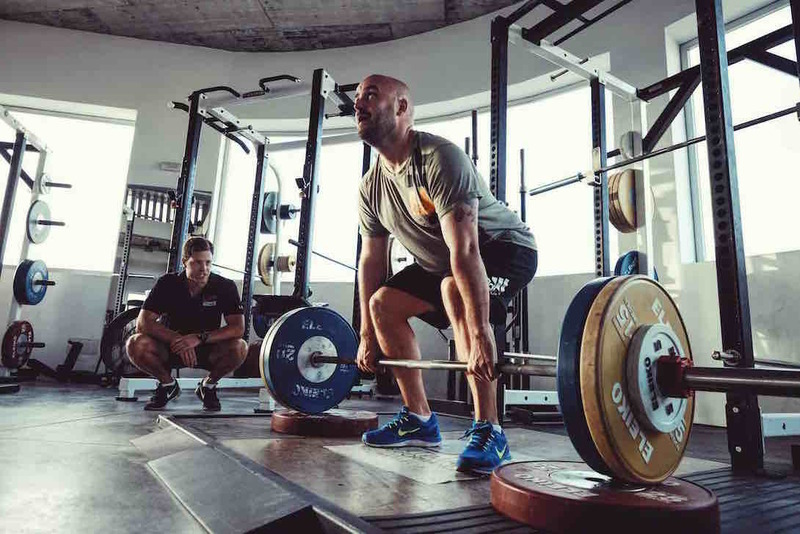 If you can currently Scott Curl 30kg for six reps, you WILL build bigger biceps if you can increase that lift to 50kg for six reps. That said, this only applies if you get stronger with perfect form. Don’t pile on the weight and progressively make your form worse to try get the weight up, hoping you’ll get results. Tom Platz, who had amazing leg development, once famously squatted 228kg (500lbs), for 23 reps. Twenty-three perfect reps. Your muscles are torn in the gym, fed by your nutrition and repaired bigger and stronger only while you rest. Taking a de-load week means reducing the volume of training for a week, to allow your body to fully recover. Taking a week where each session’s volume is halved can help your body grow. Giving it additional rest will allow the body to build bigger than ever before. This is a powerful technique following particularly brutal phases. Taking a de-load week will help make you recover and grow more instead of just rolling straight into a new phase. Studies show that the portion of the lift most associated with increases in hypertrophy is the lowering phase. You need to overload this eccentric phase if you want maximal muscle building. Sticking to a 4010 tempo will elicit greater hypertrophy than a 1010 tempo. For more on tempo check out our article HERE. 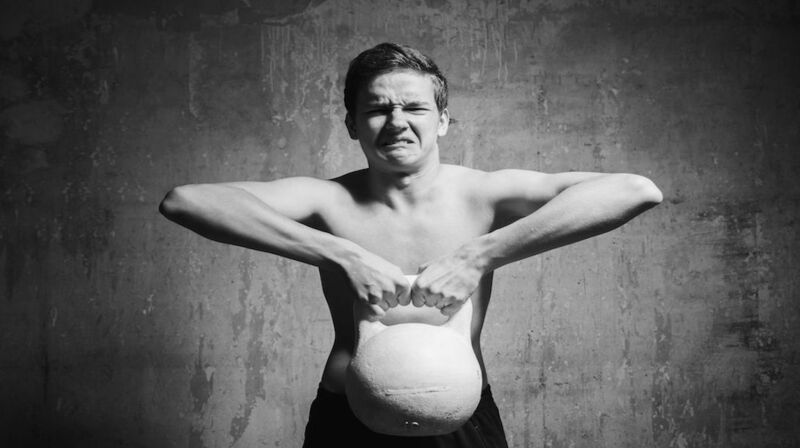 Be warned – slow eccentric training also causes the most soreness. If you’re trying to build a specific muscle, then it is essential you keep the tension on that muscle. If your form changes half way through a set as you try to complete your reps, you may end up fatiguing a whole different set of muscle fibres. Additionally, perfect form reduces the chance of injury. Anyone who has ever had an injury that has affected their training will tell you how frustrating that can be for progress. The above said, sometimes you must push your limits. Imagine you’ve reached muscular failure on a Standing EZ Bar Biceps Curl. You can’t perform another rep with perfect form. To push that muscle to grow, performing a couple of reps using some momentum to get the bar up, and then controlling it down, could help. Think of it like getting a workout partner to help you get the bar up to perform a couple of forced reps. That said, we are obviously not suggesting the entire set is performed this way – as you’ll see far too often. Having a training partner can help your progress massively. You are less likely to skip a workout when you’ve got someone other than yourself that you would be letting down. They can help you squeeze out the extra couple of reps with encouragement and the occasional assistance. Warning: we are talking TRAINING partner here. Not someone you go to the gym with to have a chat and pass the time. You should talk of nothing other than the workout. Your training partner can also help with one or two forced reps near the end of your exercise. Be wary of using your training partner for too many forced reps, however. How many times have you seen a guy on the bench with his training partner yelling ‘all you’ as he bicep curls rep after rep after rep. Your training partner should give you a small amount of assistance on a couple of reps, and that’s it. 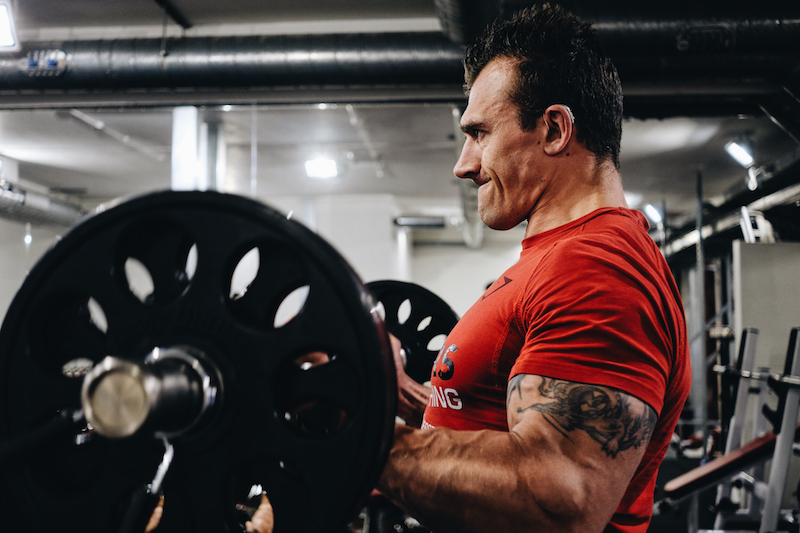 If you are aiming for 10 reps and your tempo should be 4010, then your time under tension should be 50 seconds (again, for more on tempo check out our article here). Time under tension above 30 seconds will give you the biggest gains in muscle growth - pumping out six reps in six seconds will not. 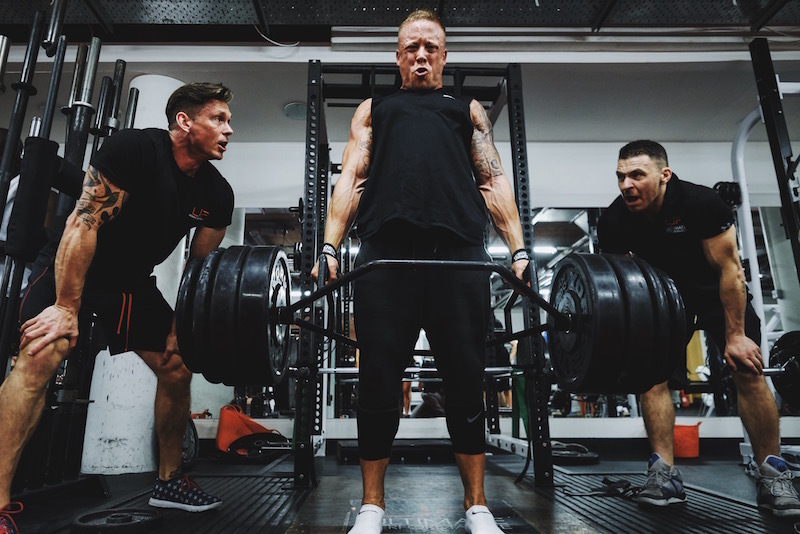 Try this - set a timer for 60 seconds and perform controlled reps until the time is up – you’ll feel the difference between that and just pumping out reps.
Big compound lifts challenge the nervous system most, and are neurologically complex, so should be done near the front of the workout. This will allow you to lift the most weight and stimulate the most muscle from these movements. Think squats, deadlifts, chin-ups, bench presses, etc. Progressive overload is the basis of all progress in the gym. Increasing weight is just one example of progressive overload. Doing the same weight for more reps would be another example. You must keep forcing your body to adapt. To grow, you need to tear your muscles in the gym – they will then get repaired stronger and bigger during your recovery (with adequate protein and calories). You stimulate the greatest muscle growth as you reach muscular failure on a lift because that’s when the most damage to the muscle is done. Extending the time within that muscular failure by using a drop set creates even greater growth. A drop set is reaching the point on a lift where you can no longer move the weight with good form, then reducing the weight and repeating until you once again can’t lift the weight. This can be repeated multiple times, though between once and three times works best for most drop sets. The use of barbells and dumbbells forces your body to recruit more muscle fibre to stabilise the load, creating more growth. If free weights aren’t the bulk of your training plan, then you’re missing out on a huge opportunity for muscle gain. These exercises usually also allow greater range to be used, utilising more muscle fibre. We get lots of people asking us about overtraining. Worrying they might be training too much. The reality is, if you can think clearly enough to ask the question, you probably aren’t overtraining. If in doubt, train harder. Your body will tell you when you need to back off – that’s the right time to take a de-load week. The body can handle a lot more than you think. The Navy SEALS have a ‘40% Rule’ – this rule states that when your mind says you’re done, you’re actually only 40% done. You have another 60% left in the tank. Find ways to tap into that remaining 60% and results will follow. Don’t just blast through the reps to finish them. Respect each individual rep of a set – make each one perfect. Strive for quality of rep, not quantity of rep. For more on this, read our article on getting the maximum out of every rep.
Training twice per day can help you smash plateaus. Occasionally utilising phases of twice per day training will make you grow like never before. 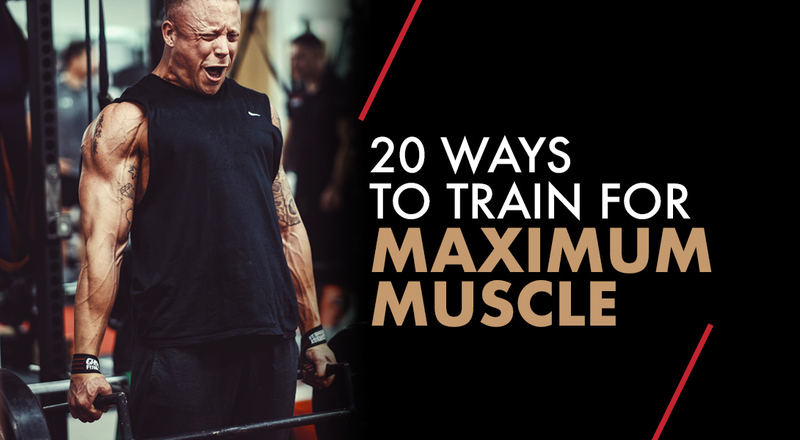 n the evening, you’ll repeat the same body parts but with higher volume of work, perhaps aiming for eight to 12 reps. Do this for one phase – around three weeks – before taking a de-load week and then returning to once per day training. Make sure you eat, eat and then eat some more to see the biggest benefits. Walking into a large commercial gym the other day, I could count on one hand how many people were following a training routine. Ninety-five percent of people were wandering from exercise to exercise with little or no purpose. Only one person was recording their reps and weights for their session. If you don’t have a training plan, you’re just guessing and hoping you build muscle. If you have a body part that isn’t as big as you want it, train it more often. If you’re doing an upper body and lower body split but you aren’t happy with your calves, add extra calf work during your upper body sessions too. Frank Zane used to train lagging body parts three days in a row, for one phase, to improve the proportions of that body part. He would do this by training heavy in his first session of the week. Then through a medium repetition range for the next session and finally using very high reps for the last session. This allowed him to target and fatigue every muscle fibre. 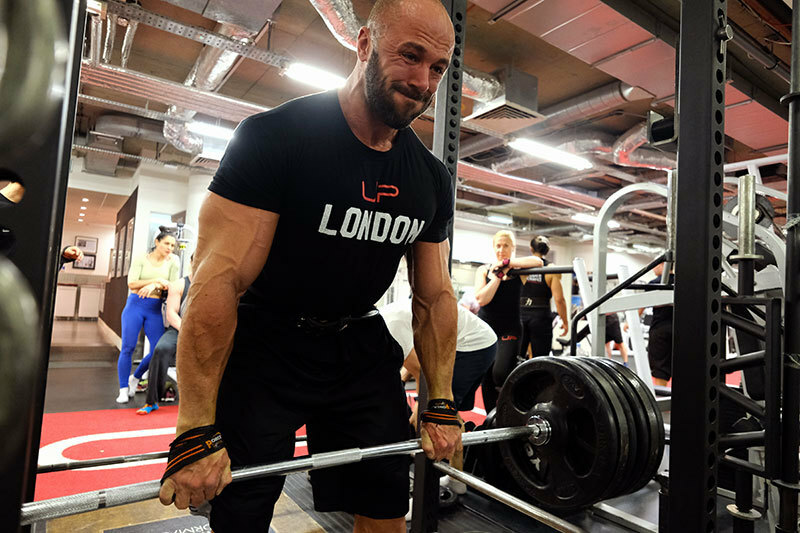 A drop set is just one example of an extended set method - pushing the muscle beyond its limit. You can also try the rest pause method – pausing for 15 seconds after you reach failure before trying to squeeze out a few more reps.
Eccentrics also work well - once you can no longer lift the weight concentrically, you focus just on the lowering phase of the movement. You could do this by having a training partner assist you back to the top of the movement before you fight the weight back down. If you are training alone, you can still ‘spot’ yourself on certain exercises. For example, once you can no longer leg press a weight, give yourself some help by pushing on your knees and then lower the weight back down without assistance from your arms. Only for the very advanced trainee with perfect technique. Accommodating resistance means matching the strength curve of a lift. 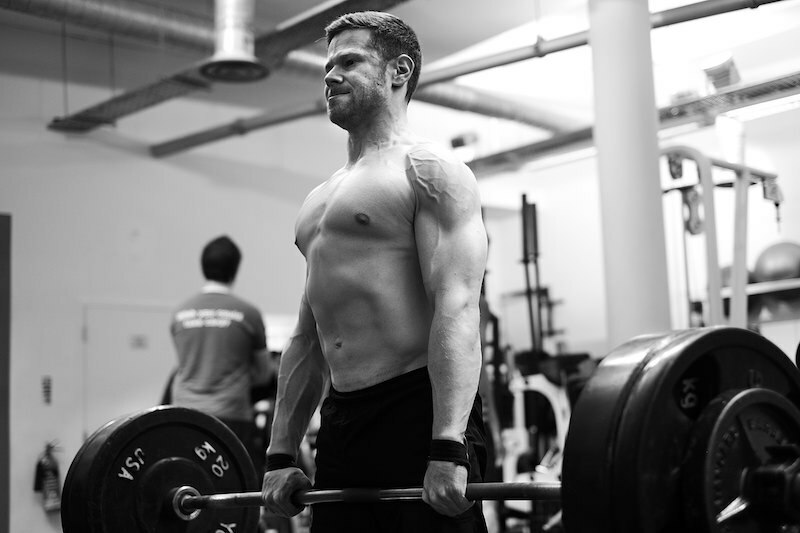 For example, on a deadlift, the lift gets easier nearer the top for most people. To accommodate this ‘easing off’ of the weight at the top, attaching chains or bands to the bar would then make the lift harder at the top. It overloads the easiest portion of the lift for greater muscle growth. Knowledge without action is wasted. Pick one of the tips you’ve read here and try it. Experiment with it for a solid phase of three or four weeks to really see how it boosts your results. If progress stagnates, introduce another one of these training methods to break your next plateau.